They say money makes the world go round. But for millions of consumers, the world is at a standstill until payday — or longer. For these folks, borrowing the money they need is the best, and sometimes only, option which can also bring with it a litany of challenges and hassles. Let’s be honest, anything involving money changing hands is never simple or quick. Applying for a loan at the bank can be a daunting task and, if your credit score isn’t exemplary, it can certainly end in disappointment. Luckily, the banks aren’t the only ones out there lending money. The Internet offers a wealth of lending companies who are ready to serve customers with great credit and not so great credit. In fact, people with fair or even bad credit are finding the money they need with alternative lenders that are willing to work with people who have been declined by the major banks. These loan companies have terms and conditions that are manageable even if many of them charge higher rates and fees for borrowing that money then a traditional lender. But if you shop around enough you can find a lender that is ready to offer a rate that isn’t usury from the get-go and some lenders even offer peer to peer opportunities where a network of lenders come to you with their offers instead of the other way around. This can provide a wider range of possibilities for getting the money you need without paying through the nose to get it. In almost every case, your credit score will still be the main component that dictates what kind of deal you can find, but it’s not the final word with every company as you’ll see on our list of the 12 best unsecured personal loans for 2016. Your credit score can be a trusted ally or your worst enemy when a lender is looking over your loan application. Those three numbers can say a lot about you before a loan officer even sees your name, income, or repayment plan. You can be the most responsible and trustworthy person in the entire world, but if you have a credit score of 630 then you’re a bad risk in the opinion of most lenders. The higher your score, the easier it will be on you to get approved – it’s that simple. However, there are many people out there who don’t have impeccable credit and they’re looking for ways to borrow money. Luckily, there is now a market of lenders, the best listed below, that are ready to work with people who have fair, poor, even thin credit. While these companies are a bit more permissive with respect to scores, they are still going to want it as high as feasibly possible. A score in the 600’s is about as low as most companies are willing to get when they look at credit histories of potential clients; anything below that is going to get you marked as too risky and rejected by even the most progressive lending houses. Even with your loan approved, these brokers and companies are going to use the leverage of low credit scores to charge more for their services. If you’re someone who needs to borrow money but doesn’t need it immediately, then you may want to consider waiting until you can take some steps towards raising your score. Even moving it from a 630 to a 690 can be a vast improvement and raise your chances of getting approved across the board and being offered a lower interest rate. Get it even higher and the traditional banks may even be willing to offer you a personal loan as well. You’re already familiar with the Discover name from their credit cards, but you may not be aware that they also offer unsecured personal loans. This component of their business model is geared towards helping consumers manage their finances and eliminate debt. Most customers who approach Discover for an unsecured loan are looking to consolidate their current debt responsibilities, particularly since the company allows borrowers to send money directly to their creditors to pay off any outstanding bills. This is not a common practice in the industry and it’s made Discover one of the more popular online destinations for acquiring a loan. Their website even gives potential customers a way to see if they would qualify for a loan and how much they could receive by entering their information into a calculator which then gives an estimated assessment without the need for a soft or hard credit check first. Discover is also customer-friendly across the board – working with applicants who have fair credit, offering competitive rates, and providing payment flexibility. The company also doesn’t charge any origination fees. 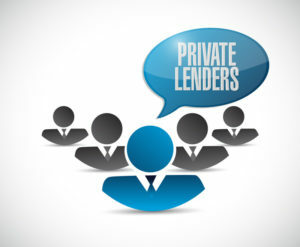 Prosper acts as a lending marketplace that connects people looking to borrow money with a network of lenders willing to give out personal and business loans. The company has been in business since 2006 and in that time they’ve facilitated over $5 billion in loans. This peer to peer fundraising model provides prospective consumers with the opportunity to enter their information with a variety of different lender options who are seeking out borrowers that may fit their particular underwriting criteria. The minimum credit score is 640, so the company is willing to help match people working on fair credit with lenders who don’t necessarily require excellent credit in order to secure a loan. The way it works is Prosper takes all of your pertinent personal information and the loan amount that you’re seeking, analyzes it all and then assigns you a grade which will determine your interest rate. From there, investors who are part of Prosper’s network can then decide if they want to send you an offer. You’ll receive those offers, then you select the best one that’s right for you. Once you’ve decided, you will work directly with that lending entity to close the transaction. Lending Club has been issuing personal and business loans since 2014, so they’re one of the newer companies on our list. Their business model is similar to that of Prosper; they don’t lend money outright but instead match borrowers seeking funds with alternative lending solutions that mostly operate differently than traditional banking institutions. Among the many benefits of working with Lending Club are a low minimum credit score, so people who are still working to clean up their credit can apply and have a good shot at getting approved, the monthly payments are fixed, and there are prepayment options available that can lower the cost of the loan. Their repayment terms run three or five years in length, so that affords ample time to pay the principal off, but that does potentially increase the amount of money that must be paid through interest. The information that you’ll be asked to supply isn’t exorbitant, either, with an application process that only takes a few minutes and basic questions about your credit score, credit history, how much money you need, and its intended use. Like the name says, this is an alternative lender of unsecured loans that is intended to be a quick, short term fix to any urgent financial needs you may encounter. Much like Prosper and Lending Club, this is also a broker that puts lenders and borrowers in touch with one another for a fee. You provide your information online, standard personal and credit history, the amount you need, employment history, annual income (which must be more than $1000 take home income after taxes per month to qualify) and legal status. The company will assess your information and you are matched with potential lenders willing to work with you based on the data provided. But what sets CashAdvance apart from those other lenders (and frankly, most of the others on our list) is their loan restrictions and incredibly high rates. The most you can borrow through the network is $1,000 and you could be charged a rate of over 2,000%, which is astronomical. This Chicago-based company offers some of the most flexibility of any lender on our list with respect to getting an unsecured personal loan with bad credit. Their minimum score is 580 and they have plenty of experience working with consumers who are struggling with rebuilding their credit histories. For a company that is willing to work with this level of clientele, their rates aren’t bad either at a range of 9.95% to 36% fixed. That’s a high rate to be paying, but it’s competitive in the industry for consumers who are looking for a loan with lousy credit. There are other benefits to Avant; they have no minimum annual income or debt-to-ratio requirements, they offer flexible repayment schedules and terms that can extend up to five years. Their borrowing limit is $35,000 so you will likely find the money you need and you won’t wait more than a few days to receive your cash. The company advertises a wait of just one business day, but this can change based on how much you actually need from them and it could be up to a week before you receive your money. There are no origination fees, either, which is also a plus. In case you were still feeling unsure about this option, Avant has an A+ rating with the Better Business Bureau. LendUp offers another short term loan option for consumers who are in need of quick money and fast. The company is willing to work with individuals that have bad credit or little credit history by offering loans that come with extremely high interest rates depending on how much you need, how long you want to take to pay it back, and other factors like credit score and income. They offer what is basically a point system where you earn points based on how much money you borrow and for how long. Those points can also be earned by paying the loan back within certain time-frames. Once you earn these points you are graded among four levels: Gold, Silver, Platinum, and Prime. The higher you get among these levels, then the higher your borrowing limits can get and the longer you can take to repay the loans. But beware, the rates are excessively high and commensurate with the lending practices of payday lenders. The company is aware of this, and offers the possibility of getting a much lower rate of around 29% once you’ve reached their Prime level. But by then, the amount of money you’ve shelled out in interest to take out enough loans to get to that point could be staggering. NetCredit has been in business since 2003 working with individuals who have less than great credit to get them the money they need. The company is a direct lender – they don’t work through peer to peer networks, but they are limited in the number of states that they can serve. NetCredit is only eligible to lend to prospective borrowers in Alabama, California, Delaware, Idaho, Missouri, New Mexico, South Dakota, Utah, Virginia and Wisconsin. Borrowers in these regions can take advantage of the company’s services by applying through their website and entering their basic personal information like home address, phone number, email address, bank information, monthly income, and Social Security number. Once they have this pertinent data, the company can work on approving your application at the amount you need and the terms applicable to your credit. Their repayment methods are flexible and you can get up to four years to pay off the loan in full. There are no early payment fees if you want to pay it off before the term ends, but you will get hit with fees for paying late or missing a payment. Another loan matching service that works in much the same way as the other peer to peer fundraising networks on our list. But they provide other lending methods beyond peer to peer, including personal installment loans and bank loans, and all of these financing types bring with them different rates and loan amount limits. They’re ready to work with consumers who have fair credit and your score will be a major determining factor on your particular terms and rates. All they need from you is your basic information including background, current income, credit report and score, and valid identification. The application process has been streamlined to be fast and easy and you can get a response in minutes. Borrowers who need larger sums of money and more time to pay it off in full should check out Signature Loans. They don’t ask for an excessive amount of personal information but they will check your credit history and monthly income. It doesn’t even matter why you need the money so don’t worry, Signature won’t even ask. The company just wants to know that you can pay it back. Keep in mind, however, that they aren’t a lender as Signature works as a matching network putting you in touch with lenders who will send you a list of offers based on whether or not you meet their underwriting criteria. Then once you accept an offer, your terms and rates will be worked out and the transaction completed. 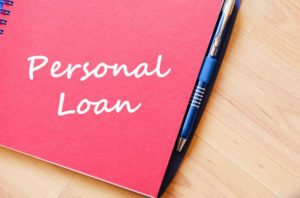 Although Payoff is only permitted to do business in just 31 states at the moment, the company is already making some headway in providing a unique experience when it comes to getting an unsecured personal loan. For starters, one visit to their website allows you access to your FICO score for free. They’ve been offering this feature since January 2016 and it’s part of the company’s mission statement to help consumers manage their finances with more confidence and responsibility by helping educate them on making smarter financial decisions. They even offer a “fiscal personality” test developed by the same minds behind the personality tests on the dating site E-Harmony. Once you take it and find out what kind of personality defines you, you can then explore their application and the information required. Unfortunately, consumers who have poor or even fair credit are going to have problems finding financing here as their minimum credit score requirement is 720. But hey, at least you can get your updated FICO score and find out what kind of monetary personality type describes you. Similar in some ways to Payoff through their unorthodox approach to financing, Upstart is also trying to improve the loan process. The first and best way they’re working to achieve this is by analyzing every loan application by other determinants beyond merely the credit score, annual income, and so forth. There are no minimum income or credit history requirements and they’re open to working with anyone with a 640 score or higher. But let’s say you’re a recent college graduate, they would like to know your GPA and how well you did on your SAT’s. For Upstart, those things are just as important as your credit score or your income. While they do not lend direct, Upstart will match you with a network of lenders who send out offers and then you select which one works best for you. If your credit is good, you could qualify for a terrific 4.66% interest rate, among the lowest and best on our list. Another loan broker that doesn’t offer financing directly but instead matches lender and borrowers to one another, LendYou.com falls towards the payday loans end of the spectrum. Their rates can typically be extraordinarily high from around 200% to 1400% based on your credit history, desired amount, income, and terms. These aren’t necessarily indicative of the terms and conditions you will experience as you will need to give them your current information. From there they will put you in touch with the lenders ready to work with you. Personal loans can be a much needed respite from the many financial burdens we can come across every day. 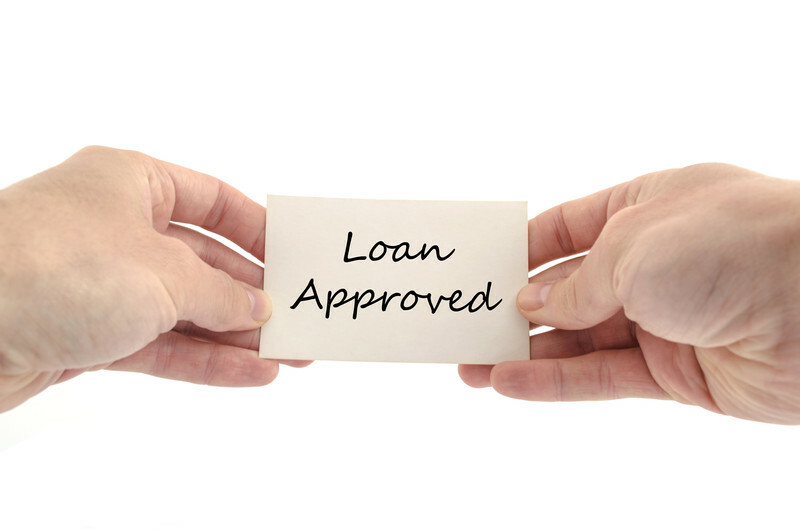 For some, a loan is the key to consolidating a large amount of debt into one easy payment at a lower rate. For others, it can be a necessary step towards paying off medical bills or other financial emergencies that may arise when least expected. A personal loan may just be what you need to take that vacation or pay for that car you really want. Whatever the reason, just be sure you read all the fine print on your loan contract first so you’re well aware of the terms and conditions that you’ll be responsible to abide by once you receive the money. Be sure you make all the payments on time as well, because some of these companies report to the three major credit bureaus. If you’re a consumer dealing with poor credit this can be a good start in the direction towards improving your score.